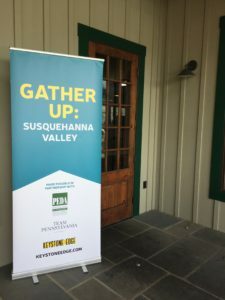 That was the distilled sentiment expressed by Josh Skopp, executive director of the Pennsylvania Economic Development Association (PEDA), when he addressed the crowd at Rusty Rail Brewing Company in Mifflinburg. 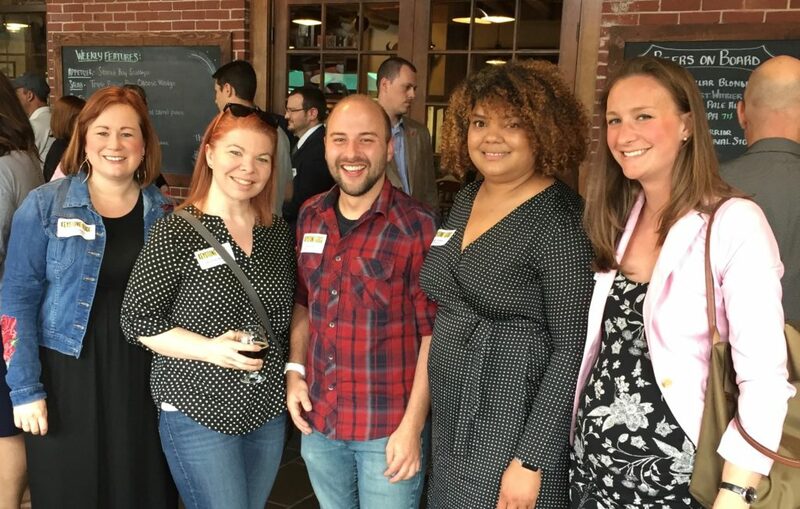 Last month, Keystone Edge teamed up with PEDA, Team Pennsylvania and the Greater Susquehanna Valley Young Professionals (GSVYP), bringing together a dynamic, passionate, curious and diverse group for Gather Up: Susquehanna Valley. 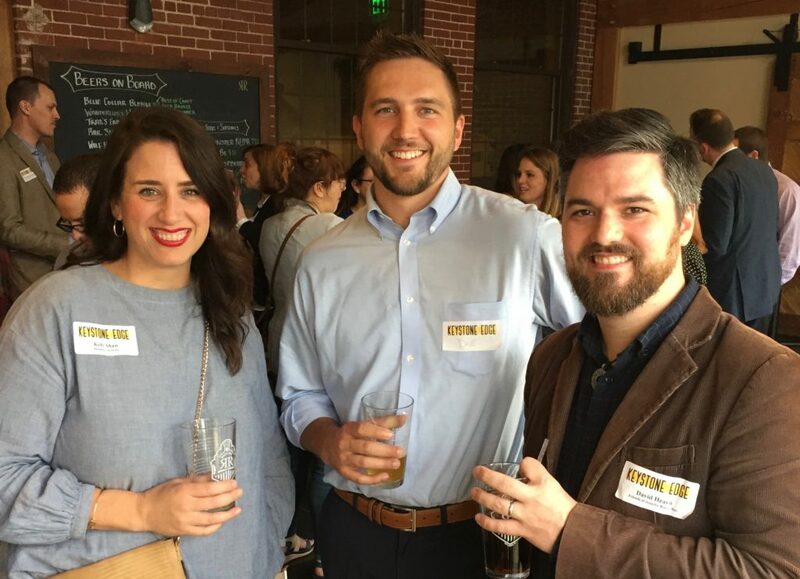 Attendees enjoyed local brews along with conversation about how to move the region forward and engage young people with local community and economic development efforts. 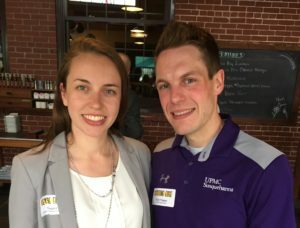 It was a group heavy on folks from Susquehanna and Bucknell Universities, with quite a few recent transplants and boomerangs in the mix, plus representatives from SEDA-COG, the Greater Susquehanna Valley Chamber of Commerce, companies large and small, and more. Here’s just a taste of the conversations being had around the high-top tables. Should we be coming to your region next? Email us at [email protected] to tell us why. And want to follow us on all our adventures? Follow @KeystoneEdge on Instagram. Allie Grill works at Susquehanna University as an associate director in the Career Development Center and lives in Lewisburg. 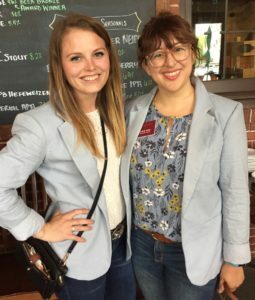 Her main project is connecting students with local employers for internships and jobs. Kendy Alvares, a mortgage banker with LMC Home Loans, lives in downtown Lewisburg. Sarah Farbo and Tabitha Bemis both work for Susquehanna University in the Career Development Center, and both are transplants to the region. Émilie Lebee-Thomas and her husband moved from Paris, France, to Selinsgrove a year ago when he was offered a job in the region. 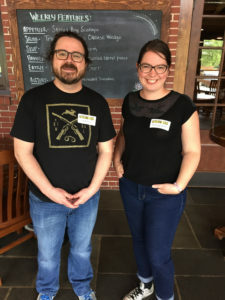 She works from home for a French company, and came to Rusty Rail with Austin Myers, a childhood friend of her husband’s who the couple lured to the Susquehanna Valley. Kelly Shaw, a native of Los Angeles, is currently working as a staff psychologist at Bucknell University. She lives in downtown Lewisburg, and is finishing up her second year in the Susquehanna Valley. In September, Samantha Proffitt relocated to Selinsgrove from Poughkeepsie in New York’s Hudson Valley — or as she puts it, “I moved from one river to another, one valley to another.” She works at Susquehanna University, helping first year students get oriented. LEE STABERT is editor-in-chief of Keystone Edge.